The Parks and Recreation Department hosts several annual events to engage the senior community including Senior Expo Day in May, SCRPA Beach Retreat in Sept/Oct and the Holiday Ball each December. Senior Clubs in the neighborhood recreation centers host exercise and art classes, trips and events, and activities to create a sense of community for retired residents. The Main Street District hosts monthly First Thursday events on Main Street, a multi-generational pedestrian friendly night out to enjoy the entertainment and dining venues. Community Gardens are located throughout the city for residents to tend to healthy environmental outdoor activities. James E. Clyburn Golf Center offers senior discounts and a multi-generational golfing experience at this public course. Love Riverfront Park Strolls encourage healthy walking activity along a picturesque waterfront venue. Public pools provide aquatic exercise for swimmers of all ages. The city maintains 62 tennis courts with programs designed for all ages and all levels of play. 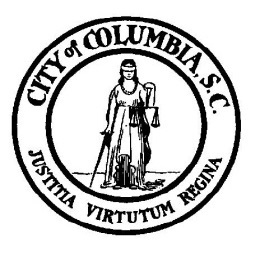 The City of Columbia’s cultural arts program offers education, instruction and festivals to support those in the community interested in exploring their creativity. The Creative Journey program is specifically designed for the military and veterans. Downtown shopping and entertainment districts including Devine Street, Five Points and The Vista host pedestrian friendly events throughout the year for the engagement of residents of all ages. Life long learning programs are available at local colleges and universities for those residents 60 and older. SC law provides tuition exemption for these students; however, credits are not earned. Social Security income that is taxed on the federal income tax return is not taxed on the South Carolina income tax return. Once taxpayers reach 65, they may exclude $15,000 of income from any source on their South Carolina tax return.